Our company has gained name and fame in presenting Yarn Dyeing Machine. 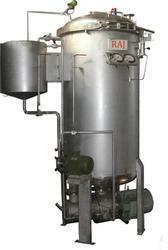 We are offering a comprehensive assortment of HTHP Cone Dyeing Machines. The important factors is to achieve even dyeing, shade color fastness and at the same time bearing in mind the importance of operating costs. All these features are covered by GMW-CD yarn package dyeing machine. Pressure pump to Feed dyes/chem. : 2 h.p. Being a customer-oriented enterprise, we are engaged in providing a wide array of Polyester Yarn Dyeing Machine. HTHP Polyester and Viscose Yarn Hanks Dyeing Machines. For Dyeing Polyester and Viscose Yarn In Hanks Form. Type of Fibers / Fabric : YarnPackages, ZipperTapes, Small width Fabrics, Warn Beams etc. 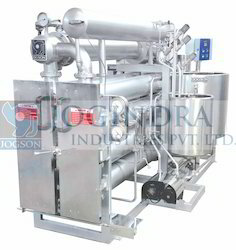 HTHP Yarn Dyeing Machine is used for dyeing of sample for polyester, cotton and any form of fiber or blended yarn and fabric. The machine is provided in versatile, maintenance free and a compact model and is of immense use for dyeing, processing, research labs, dyes and chemical manufacturers, Educational Institute etc.